Chetu's payments software development experts ensures your software complies with consumer protection standards including Payment Card Industry Data Security Standard (PCI-DSS), Payment Application Data Security Standard (PA-DSS), EMV, Check-21, and other payments standards. We customize, configure, and integrate payment processors, gateways, and other payment software solutions from a variety of third-party vendors and partners. We customize payment processor development to support authorization, capture, sale, void, partial reversal, refund, recurring, and other payment types. 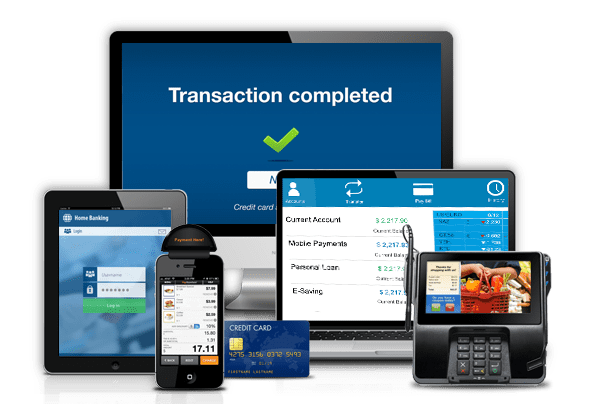 We build software to accept payments on any device, including payments such as credit, debit, and prepaid/gift cards with Merchant Independent Sales Organizations (ISO) and Member Service Provider (MSP) self-serving portal architecture. Our engineers develop seamless custom third-party integrations with popular e-commerce payment gateways and online shopping carts, including Paypal, Stripe, Amazon Payments, Skrill, WePay, Venmo, and Neteller. Our payment processor integration experience includes CardConnect, WorldPay, SIX Payments Services, Moneris Solutions, Authorize.Net, First Data, Chase Paymentech, and Braintree. We provide virtual and retail Point-of-Sale (POS) terminal application development for desktop and mobile using VeriFone and Ingenico hardware. We develop custom applications that incorporate merchant point-of-sale software, back office accounting, reporting, and host data capture modules to provide complete payment processing solutions for merchants, vendors, and financial entities. We provide comprehensive development and integration solutions for First Data, Chase Paymentech, TSYS, Vantiv, Global Payments, and other merchant acquirers. We leverage our partnerships with Ingenico and VeriFone (Verix V and VX eVo models) to provide specialized enterprise payment solutions. Integration with gateway and processor ISO 8583 platforms to support 0100, 0200, 0400, 0800, and other message types. We fully customize EMV-compliant software, integration, migration, and certification services. We program mobile, Bluetooth, and USB connectivity for EMV terminal mobility. We offer EMV ISO 8583 integration with payment gateways and processors with EMV certification services for MasterCard, Visa, Discover, American Express, and more. Our developers build online 3-D Secure (3DS) integration and certification using Merchant Plug-Ins (MPI) handling Verification Request/Response (VEREQ/VERES), Payment Authentication Request/Response (PAREQ/PARES), and Access Control Server (ACS) URL retrieval for 3DS secure authorization. We offer tools for tokenization, E2E and P2P encryption (P2PE) using PKI / RSA, and TDES methods using DUKPT and Master Session (MS) key management to apply encryption, digital signature and certificate authentication consistently across a range of applications and platforms. Maximize and expand your merchant global reach with customized multi-currency and multi-lingual support with Dynamic Currency Conversion (DCC) and Pay in Your Currency (PYC) capabilities for e-commerce transactions.